Accidents are generally unexpected and unavoidable, but not always. In some cases, accidents are a result of careless, reckless or even criminal behavior, and could have been avoided altogether. When an individual is seriously hurt as a result of negligent and/or criminal behavior, they have the right to take legal action against those responsible. It’s important to contact an experienced personal injury attorney immediately following an accident in order to recover the maximum financial compensation for your pain, suffering, and emotional distress, as well as any medical bills and/or lost income. We Pursue the Best Possible Result. You Focus on Healing. At The Carter Law Firm, LLC, our personal injury attorneys are passionate about helping you achieve a fair settlement. We work diligently on your behalf to ensure that insurance carriers are not violating your rights as an accident victim. You take care of your recovery and we take care of the rest. We handle all types of personal injury cases, including auto accidents, commercial trucking accidents, wrongful death, premises liability, workers’ compensation, product liability, and medical malpractice. The information below provides a brief overview of our personal injury practice. Click the title links for more information or call (205) 808-0002 now to get started with a free initial consultation. Injuries related to auto accidents can be devastating. In addition to emotional distress and often lengthy recovery times, you and your family may also get stuck with exorbitant medical expenses. Because Alabama is a “contributory negligence” state, receiving the compensation to which you’re legally entitled can be difficult. Don’t take chances with your future — consult an experienced auto accidents attorney now. Losing a loved one due to another’s negligence and/or misconduct is nearly unconscionable. The grief associated with knowing you lost someone so early and needlessly can take a lifetime from which to recover. That doesn’t mean, however, that those responsible shouldn’t be held accountable. Having defended families throughout North Jefferson County and Southern Blunt County for more than 30 years, The Carter Law Firm, LLC can help you obtain the peace of mind you deserve. Unfortunately, injuries in the workplace are an all-too-common occurrence for countless residents throughout the state of Alabama. While a large portion of these disputes may be resolved quickly and with relative ease, a sizable number of employers and insurance companies will do whatever it takes to deny you the compensation you deserve. Don’t settle for less — speak with a proven workers’ compensation lawyer now. Of all auto-related accidents, those involving trucks and large commercial vehicles are often the most severe. Due to the size of the vehicles and, in cases involving commercial vehicles, the number of parties involved (i.e. driver, truck owner, parts manufacturers, etc. ), these personal injury disputes are generally complicated and time-consuming. Let us help you. Alabamians throughout the state have the right to assume that, as long as they refrain from acting recklessly, the property on which they stand is structurally safe and sound. When that expectation is not met in reality, however, the results can be disastrous. If you or someone in your family was recently injured due to a premises liability issue, contact The Carter Law Firm, LLC as soon as possible. As residents of a country as rich and advanced as the United States, we may take for granted the idea that our products — from children’s toys to mechanical tools, personal cosmetics to kitchen supplies — are structurally sound and safe for use. Unfortunately, this is simply not always the case. If you or a loved one was recently injured due to a defective product, consult an experienced personal injury attorney today. We have long trusted our health care providers, and for good reason. When we are sick and/or injured, they are our first line of defense, our best bet at a healthy future. For too many Jefferson County families, however, this is simply not reality. If you or someone you love has recently been injured due to a medical professional’s negligence and/or misconduct, contact The Carter Law Firm immediately. 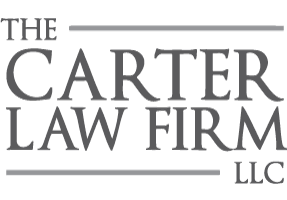 The Carter Law Firm, LLC has been representing folks in Fultondale, Gardendale and throughout the state of Alabama for more than three decades. If you or someone you love is currently struggling with a personal injury, call (205) 808-0002 to schedule your free 30-minute consultation.